Anna Laetitia Barbauld (nee Aikin) (1743-1825) was an English poet and author. In 1773 she published a volume of miscellaneous Poems, which was very successful, and collaborated with her brother, Dr John Aikin, in a volume of Miscellaneous Pieces in Prose. In 1795 she published an edition of Mark Akenside's Pleasures of Imagination, with a critical essay; two years later she edited William Collins' Odes; in 1804 she published a selection of papers from the English Essayists, and a selection from Samuel Richardson's correspondence, with a biographical notice; in 1810 a collection of the British Novelists (50 vols. ) with biographical and critical notices; and in 1811 her longest poem, Eighteen Hundred and Eleven, giving a gloomy view of the existing state and future prospects of Britain. 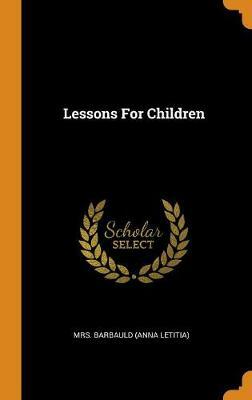 Buy Hymns in Prose for Children (Dodo Press) by Anna Letitia Barbauld from Australia's Online Independent Bookstore, Boomerang Books. Remarks on Mr. Gilbert Wakefield's Enquiry Into the Expediency and Propriety of Public or Social Worship. 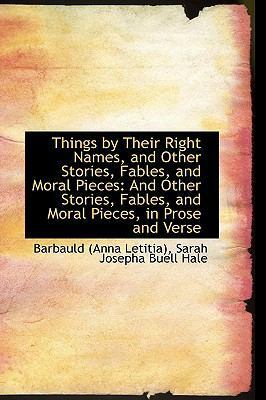 by Anna Laetitia Barbauld. the Third Edition. 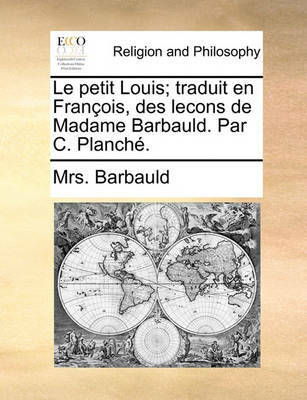 Le Petit Louis; Traduit En Fran ois, Des Lecons de Madame Barbauld. Par C. Planch .